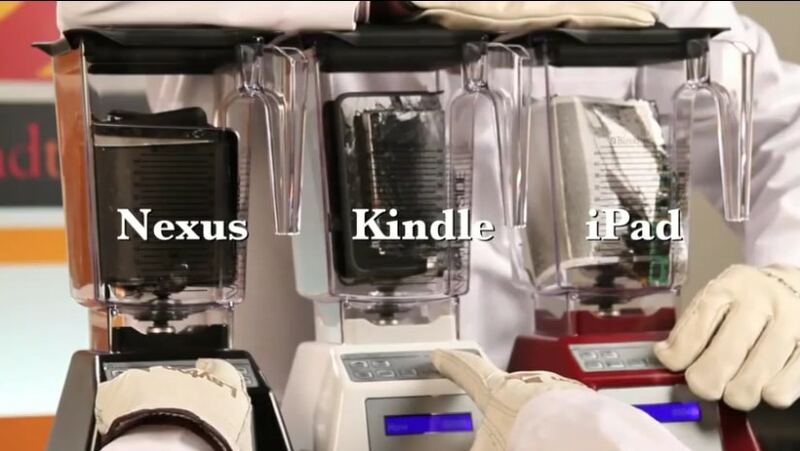 Tablet Showdown: iPad Mini, Nexus 7, Kindle Fire HD – Will They Blend? The good folks at Blendtec are back again with more gadget destruction. Today they lined up 3 tablets and checked to see which would blend the best. Are you in the mood to see $700 in gadgetry destroyed? The nexus 7 got off to an early start, but as you can see the KFHD pulled ahead about half way through. The iPad Mini finished a distant but thorough third.